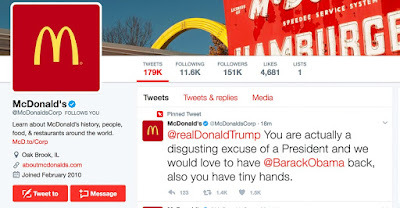 Franchise Equity Group: Is Robert Gibbs In Charge of McDonald's Twitter Account? 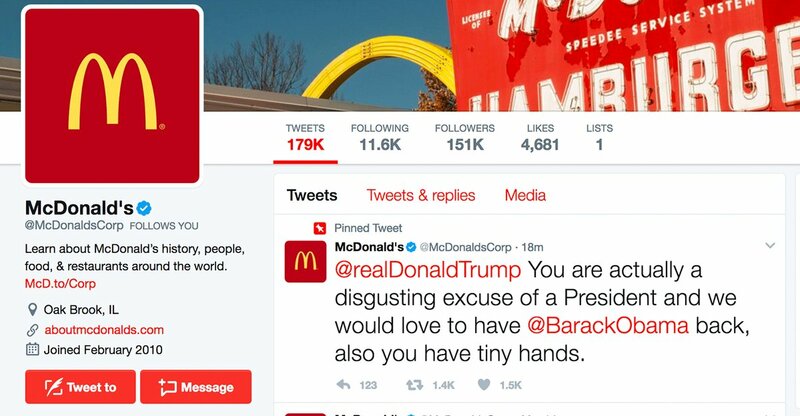 Is Robert Gibbs In Charge of McDonald's Twitter Account? It might not be hacked I would call for a full independent investigation of all corporate employees. Considering all the liberal dems working at corporate it was likely an "internal" hack. There are five people on the McDonald's "Twitter Team" so it was probably very easy for someone in the next cubicle to get the access info. The tweet may expose their corporate culture. Modern and progressive.